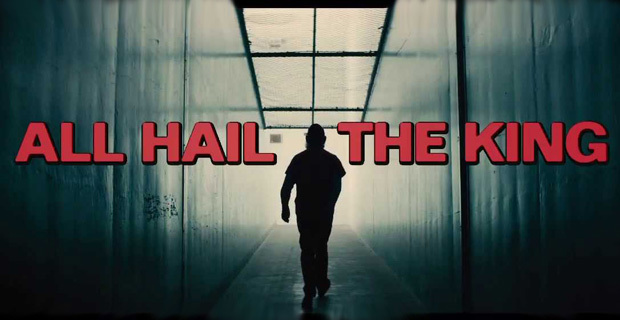 All Hail the King is Marvel’s latest one-shot, their increasingly awesome series of short films that they include on the Blu Ray releases of their theatrical films. 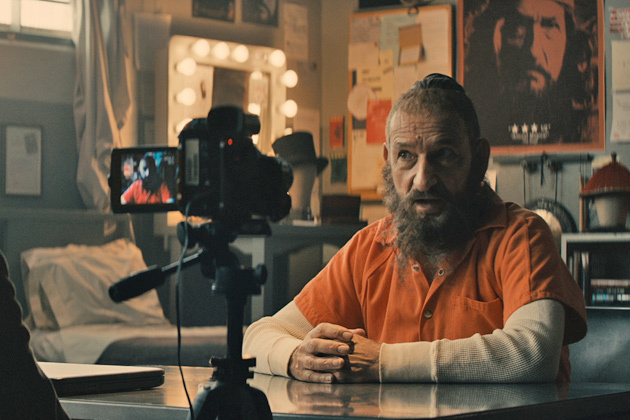 Debuting this week on the Thor: The Dark World disc, this short focuses on the faux Mandarin of Iron Man 3, Trevor Slattery. Iron Man 3 was the first Marvel film I didn’t like (you can read my review by clicking here). There are a number of things I disliked about the film, but the thing that just flat-out made me mad was the treatment of the Mandarin as a character, making him into a joke. All Hail picks up with Trevor’s first interview since his imprisonment and is told from the point of the documentarian. Trevor has become a celebrity both in and out of prison. Ben Kingsley is just amazing in this. This is one of the funniest things to ever come out of the MCU, but it’s also the first one-shot that has a direct impact on the future of the MCU. Stop reading here if you don’t want to know more than that. The documentarian turns out to be a member of the Ten Rings, the Mandarin’s cult following that Slattery pretended to be the head of during Iron Man 3. Turns out, the real Mandarin isn’t very happy that he’s been made a laughingstock and has sent the documentarian to extract Trevor so he can put “a bullet in his body for each of the ten rings he mocked”. The short doesn’t show the escape, but it certainly looks like it’s going to succeed and Trevor is going to be brought before the real Mandarin. This sets up the possibility of the next Iron Man film having both Kingsley return as Trevor and doing right by the Mandarin. I don’t know if this was Marvel’s intention all along or if this was a course correction to please fans like me who were angered by the treatment of Iron Man’s best villain, but either way it is a stroke of genius. It also takes away my biggest beef with IM3, so I may have to do a second-chance review of that film in the future. No Iron Man 4 is scheduled for Phase 3 and there’s really no room on the schedule for it. Robert Downey Jr. is contracted to appear in Avengers 2 and 3 and then he is almost certainly done as Tony Stark. This means, unless this story is going to be continued in another short or in an unexpected film, this plot thread is being laid for a film that will happen no earlier than 2018. THAT is plotting so impressive that I can hardly believe comic fans are this blessed. I will NOT ruin the surprise cameo in the prison but I was genuinely surprised and it was fantastic. It’s honestly worth buying Thor: The Dark World for this short alone. All hail the Marvel Cinematic Universe! i would not be surprised if this was planned all along. The MCU is going to be around for a good long while, and they are taking their precious time. Trevor was just a bit of misdirection intended to gradually set up the actual Mandarin. The MCU is still young. Just brilliant. IM3 was still bloated, pointless to the overall story and lacked the spark of the other films, but without my Hulk Smash rage, I should revisit it. This was SO GOOD! I was going to buy Thor 2 anyway, but now I will do it post haste. If all of this WAS planned, they sure took the long way around. Part of me wants to say that Kingsley was wasted, but I suspect that the nature of the role is what attracted him to the movie in the first place. I need to see IM3 again too, because a lot of people whose opinions I trust (including you) really dislike it, and it’s possible I’m being too indulgent. Kingsley ate this short alive. He was having so much fun with it. Just awesome. Are you listening to yourself? You actually like Kingsley as Trevor now! Lord, was this short needed. I’m SO glad that they eliminated the most glaring problem with IM3. 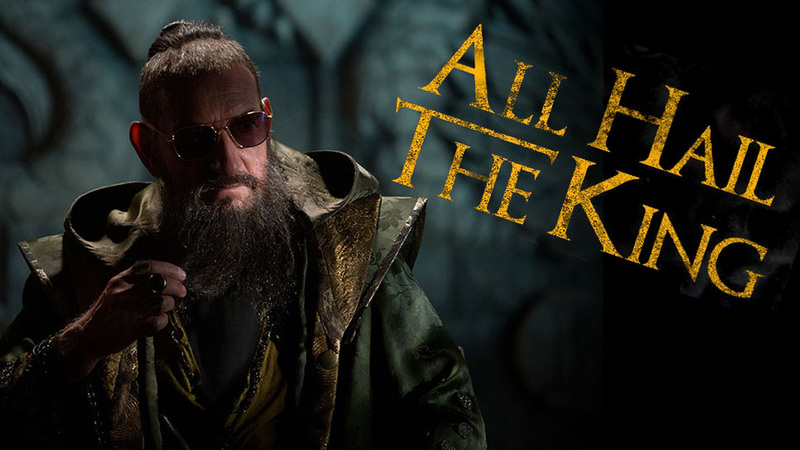 I have no problem with Kingsley as Trevor or Kingsley as the Mandarin. My problem was Kingsley as Trevor AND the Mandarin. Now that I know he’s just Trevor, I’m cool. He’s chewing this role alive in the short. I’m telling you, the man would not have agreed to be in the film if the part had been a conventional villain. In hindsight, he is the reason I went with the twist the first time I saw IM3. He committed to the Mandarin just as though the Mandarin were an actual villain; then he committed to Trevor just as much. I believe you when you say he’s having a blast in this short; he was having a blast in IM3. Watch it again; now that your disillusionment is gone, I think you will agree that Kingsley is the best part of the movie.